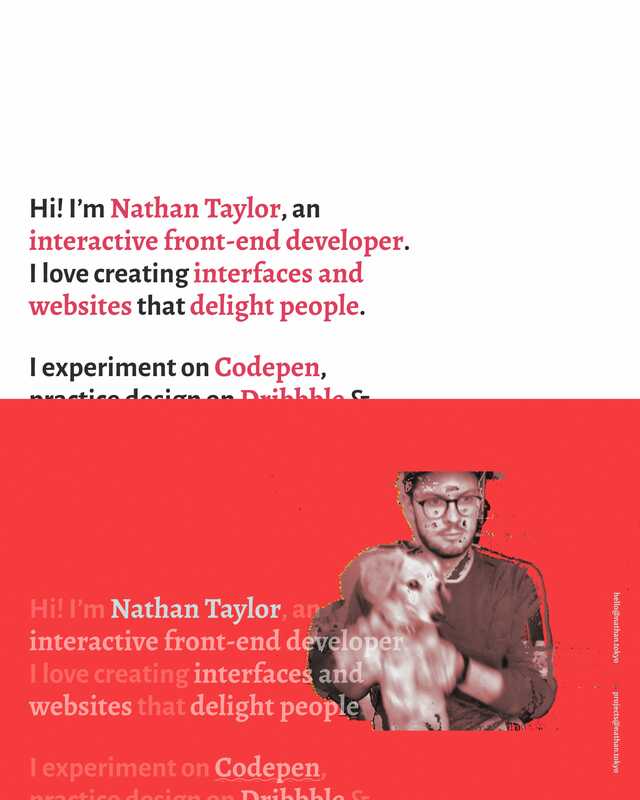 Unique personal page for front-end dev Nathan Taylor that loads up crazy background videos when hovering the links. I’m an Interactive front-end developer. I love creating interfaces that delight people.